One more day. Tomorrow is it. My gastric by-pass surgery. I have been thinking about everything I have been through this past year since I made the decision to get serious about dealing with my weight and all of the connected health related problems that I have. Volatile high blood pressure that despite my efforts to control it, was still running on the mid-high side. Stress levels that were out of control. I ate out for nearly every meal. I did not even think about exercising. I have asthma that was sort of controlled. In other words, I was going down a very dangerous path. I said in an earlier post that it was a prescription for an early death. Since seeing a gastric by-pass surgeon, I have changed quite a bit of what I was doing. I saw two gastric by-pass doctors before my friend directed me towards my new doctor. I stopped eating out for every meal. I underwent a sleep study. 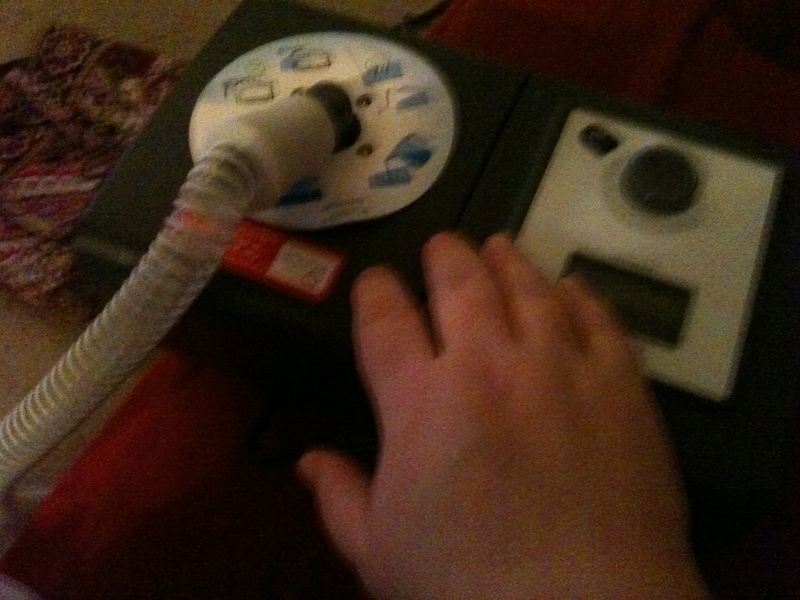 I use a c-pap machine and my apnea is now controlled. I’ve been taken off of one of my high blood pressure medications. Now the medication I do take keeps me at a normal level on a consistent basis. I’ve met with a nutritionist who helped guide my food choices. I am eating more fruits and vegetables. I’ve dealt with some of the other things that were causing me undo stress. I’ve had a stress test. And I’ve had many other tests to make sure I am healthy for surgery. I feel better. I feel rested. I’m more positive. And I feel that I am ready for this surgery. Granted, I’m still not exercising at the level I would like. I can and will correct that after surgery. I want to get my triglyceride level down to normal levels, raise my good cholesterol levels, and continue to lower my bad cholesterol levels. Obviously, I want to lose weight. I also need to bring my sugar levels down some too. All of this will happen after the surgery once the serious weight loss begins. Making the decision to have the surgery was not an easy one. I did not originally want do this. I invested a lot of time and thought into the decision and finally came to the conclusion that if I wanted to live a drastically different life, I had to make some drastically different choices. There are definitely some things I did not want to do. I did not want to do the sleep study. I did not want to sleep with a c-pap machine. I have to admit that when I was told that I needed a c-pap machine and that I would have to take my c-pap machine to the hospital for the surgery, I was unhappy. I do not know why, but the idea of carrying a medical machine into the hospital really turned me off. I thought the machine would be much bigger than it was. Part of my fear was the machine would be much bigger than it was and I really do not have the strength or ability to haul around medical equipment. I also did not relish wearing a mask every night. The truth is The c-pap machine is small. Sleeping with the mask is an inconvenience, but being well rested is something I would not change. Controlling my sleep apnea has helped lower my blood pressure and improved many other health related problems that I have. Now, I’m glad I did it and I’m not afraid to carry my small c-pap machine into the hospital tomorrow. Like I said, this was not an easy decision, but I knew I had to do something. I want a better life than the one I am leading now. The only way to do that is to make some serious changes in the way I live. I am glad I made those changes. While I am nervous about my surgery, anxious about the changes to come, and sad that there are some food that I love that I may never be able to eat again, I do not regret the decision. I thank all of my blog followers, friends, and family who have stuck with me up to this point. I am grateful for all of the well wishes and support I have received. I hope you’ll stay with me now as the real food changes and weight loss begins and the new healthier Colleen starts to take shape. As my baby sister called it the other day on the phone, get ready for Colleen 2.0. This entry was posted in asthma, breathing, diet, fat, fat chick, gastric by-pass, health, incentive spirometer, life, lifestyle, skinny, skinny girl and tagged c-pap, cholesterol, diabetes, diet, exercise, fat, fat chick, gastric by-pass, gastric bypass surgery, health, healthy lifestyel, high cholesterol, high sugar, life, lifestyle, skinny, skinny girl, sleep apnea, weightloss. Bookmark the permalink. Colleen 2.0 is perfect. Good luck! I’ll be thinking of you. Hope it all goes well for you. I wish you all the best, sincerely. Takes courage to face everything you talk about in your post. I’ll send you some positive vibes! You may leave that cpap machine behind when you leave the hospital. Good luck! Good luck on your surgery! You sound very up beat about it which helps a lot! Good luck with your surgery and with the journey that follows. I had my own gastric bypass 26 days ago and it is definitely a brave new world. I am looking forward to following you as I am sure we will have much to discuss in the weeks and months ahead. You sound positive and ready for change which is instrumental in having an amazing outcome! Colleen, you are inspiring! Everything you have committed to your health fills me with admiration. I know that you will reach your goals. Wishing you all the best tomorrow! I’ll be thinking of you, Colleen! Congratulations on a new beginning! Greg (the ex) had gastric bypass and it literally gave him a life he never would have had if he had not had it. I’m sure he would say it’s the best decision he ever made. But, I’m sure you know other people who would say the same thing. I’m very excited for you. You are a very brave woman for taking control of your health and your life. I’ll be keeping you in my prayers for a quick and easy recovery! Can’t wait to read your posts in the days, weeks, and months to come!!! Hugs!